It’s back, baby! 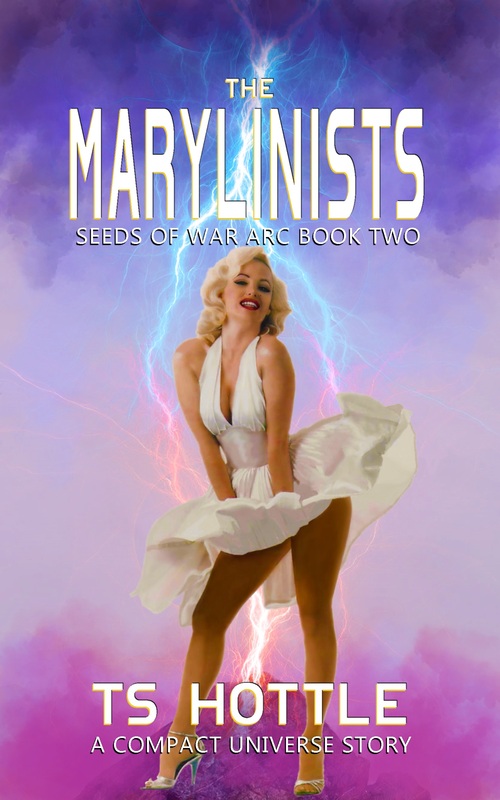 The Marilynists returns, now by Clayborn Press. Douglas Best has found three planets for his homeworld Jefivah. All he has to do is clear off all the weapons left by the Navy. Yet when seven nukes go missing, he’s on the hook. And his only way to avoid prison is a cult to Marilyn Monroe. Keep checking the Compact Universe Page for pre-order and buy links.